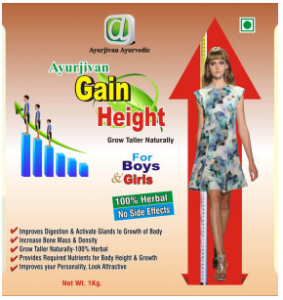 Ayurjivan- GAIN HEIGHT Powder Formula – Can It Really Cause Height Growth? 100% herbal and no side effects, but only gain more height? That’s what the Ayurjivan Gain Height supplement states on its label! Instead of taking any form of capsules/pills, this item is a powder method to simply mix it as directed. For a fact, I actually found it in a retailer website, which I’m assuming that this Ayurjivan Gain Height formula is produced and developed by them. They actually sell other types of health products as well. So keep reading and I will share everything I know from my personal experience, thoughts, and opinions on such a product. Does Ayurjivan Gain Height really work? Maybe, scroll down to read a few lines! What Is The Ayurjivan- GAIN HEIGHT? This Ayurjivan Gain Height is a supplement of powder in the today’s height enhancement market who promotes to gain extra growth in stature. 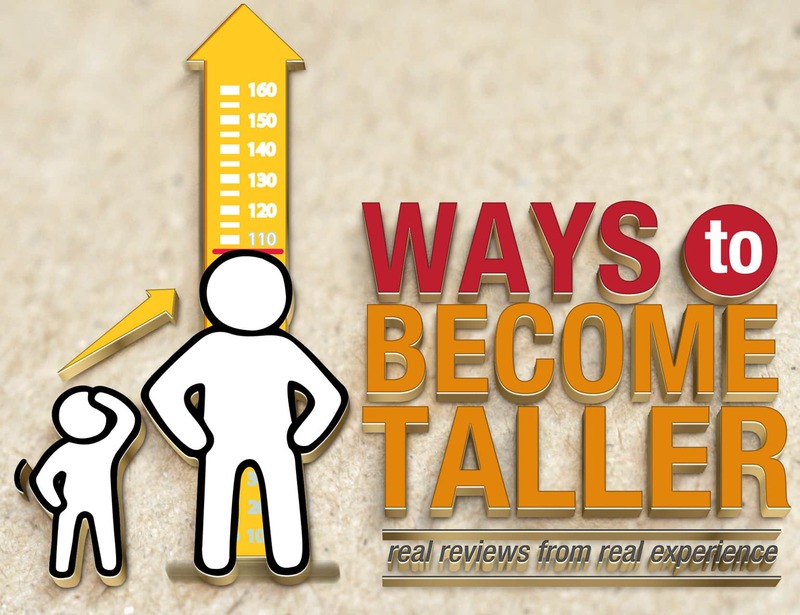 It states that it’s for both boys and girls to naturally boost up the process of growing taller. Now let’s get into details about the product’s company! Since the formula does not have an official website, it’s only available at the organization’s webpage as if it’s the manufacturer called (Ayurjivan Ayurvedic Pvt Ltd) based on the streets of Delhi, India. As I click the (About Us) tab on this company’s website, they mention that they are a supplier-retailer to carry supplies of herbal medicines, plus they claim that all products are certified under Ayurvedic GMP. They also promote that all of their products have been “clinically tested” and “medically certified” to work effectively while causing no negative side effects. Now back to the Ayurijivan Gain Height powder, it doesn’t show anything to back up the claims of the medical data. No healthcare doctor or professional expert to endorse and approve the formula for us as customer users to believe the statements of “medically certified“. But follow down to find out more ! Ayurjivan Gain Height claims that the active-compounds “helps in activating glands to Growth of body“, as according to them. And since they don’t get into more details, I’m assuming they’re talking about activating and stimulating the pituitary gland to produce more growth hormones, which should result of the “growth of body“. Yes, the miracle growth hormone is the key substance responsible for the growth and development of the overall body, such as the organs, bones, tissues, muscles, and the whole body factors. Other than that, it does state that this formula increases more bone density and mass in a completely natural way. Perhaps, I don’t think a prescription portion is required to purchase the product. Since the product’s company claims it’s a unique herbal formula, it should only carry natural herbal extracts in the formulated combination. They promote that it’s all safe compounds and “pure herbal ingredients“. 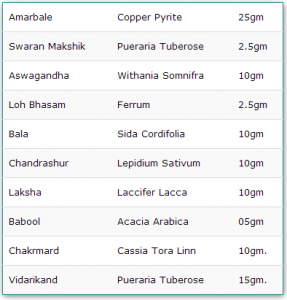 So these effective substances would be Amarbale (Copper Pyrite 25gm), Swaran Makshik (Pueraria Tuberose 2.5gm), Ashwagandha (Withania Somnifra 10gm), Loh Bhasam (Ferrum 2.5gm), Bala( Sida Cordifolia 10gm), Chandrashur (Lepidium Sativum 10gm), Laksha (Laccifer Lacca 10gm), Babool (Acacia Arabica 05gm), Chakrmard (Cassia Tora Linn 10gm), and Vidarikand (Pueraria Tuberose 15gm). Each Ayurjivan Gain Height container comes with 500mg of powder. They failed to mention how the intake works from mixing the powder. Which usually, they want all users to mix it with a beverage drink. As I mentioned previously, Ayurjivan Gain Height promotes that it’s for only boys and girls, meaning children and probably adolescence teenagers as well. Folks who were to take this “effective” formula of powder, they can expect to increase the body’s development and overall growth, since it contains the exact “nutrients” for increasing extra height. Yet, they don’t specifically mention how much “growth in height” to expect, such as inches or what. In fact, they share that by enhancing the bone mass and density, it would make users more “attractive and look smart” by changing to gain improvements on the personality. It should help improve general health, such as the liver, strengthen the bones, skin tone, and maintain a healthy state of the body function, as they claim. “Clinically tested” and “medically certified“? Where’s the proof of evidence, shows nothing. Failed lack of information on how it really works, the intake process, etc. No testimonials or any before-and-after results from pictures were found. Nothing from medical endorsement to recommend and approve the formula. It does not show any price tag, even though I don’t think there is no prescription needed. No official website for the product, but only available at the retailer as the company’s page. Unable to find anyone out there to share their personal experience or reviews. We looked all over the website and found nothing for the money back guarantee. To tell you the truth, I don’t even know if they could ship this particular product all the way to here in the United States/Canada area. In fact, to place an order, I would have to contact them first and they should get back regards to what we need or what we have to do to purchase this Ayurjivan Gain Height form of powder. Plus, I do notice that it’s for kids and children to drink as a mixed beverage liquid! So if you’re like me as an adult with our growth plates fused, then you might be wasting your own time looking for this specific item. I actually think it could help kids boost up their height growth process. Yet, there is nothing to back up the claims and promises. Even though they mention “clinically tested“, we as a customer users want to see proof of evidence to have more faith in if it really works or not. 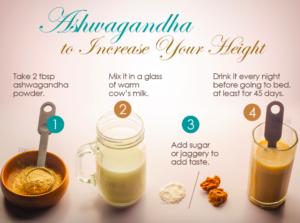 Believe it or not, I have come across a number of products claiming to increase height all from the Indian market, known as an online Ayurvedic shop. I personally find it slightly risky, due to the fact that we found nothing to mention anything about a money back guarantee. 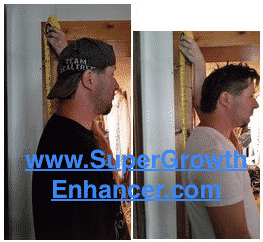 So why not take your own time and head over to the Super-Growth formula, who is the same product that I personally used in the past and after over 2 months, I grabbed a measuring tape and notice a 1 full inch added to my stature here. 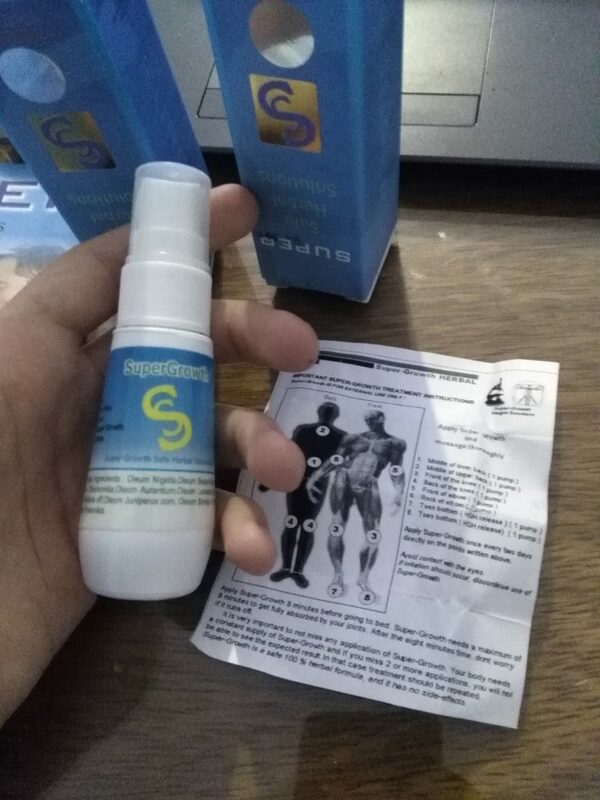 In fact, I wish I had bought more bottles of this Super-Growth liquid spray because its something that truly worked for me and not like the other types of “grow taller pills” out there that I used and failed to give me any height results. So how was your experience when reading this complete review regarding the Ayurjivan Height Gain supplement? It’s my pleasure to hear from you, so feel free to leave me a text under this review. I’ll make sure to get back as soon as possible. 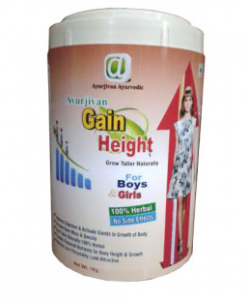 Ayurjivan GAIN HEIGHT Results Ayurjivan GAIN HEIGHT Review Ayurjivan- GAIN HEIGHT Ayurjivan- GAIN HEIGHT Powder Does Ayurjivan GAIN HEIGHT Really Workl? 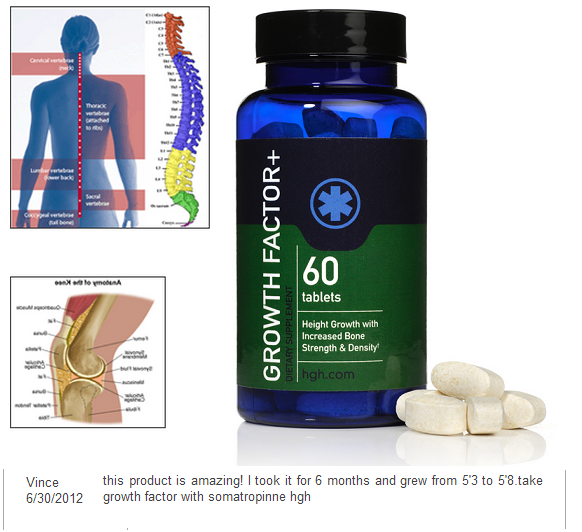 Grow Bone System Review – (Garden of Life Vitamin Code) – Does It Increase Height?